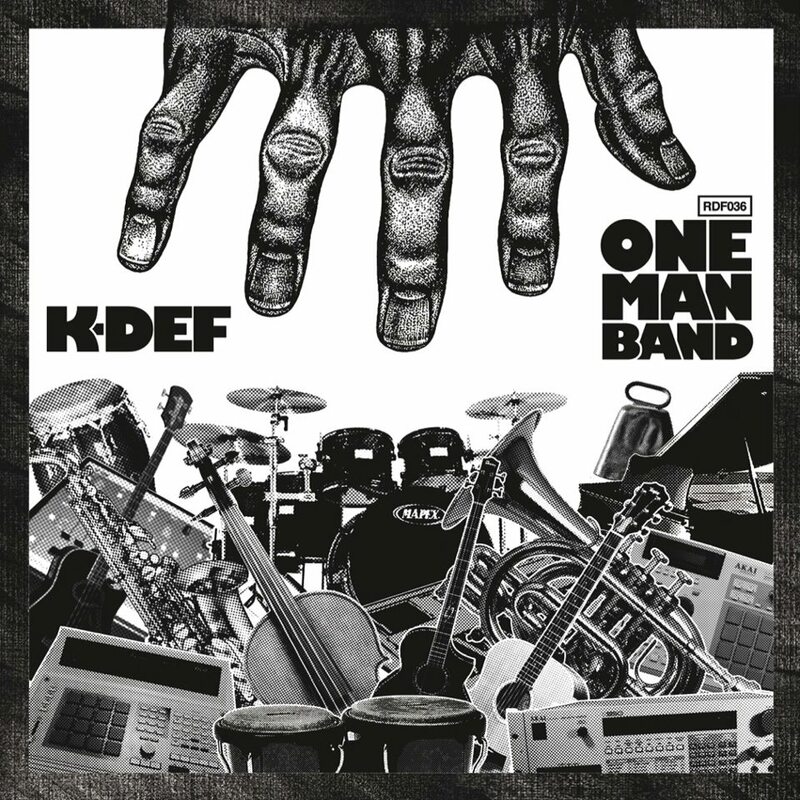 “K-Def’s latest endeavor on Redefinition Records, One Man Band, continues his self-reinvention combining software with his impeccable ear for music to craft –or re-craft- many familiar records using his signature style. Stevie Wonder, A Tribe Called Quest, and 24-Carat Black, to name a few, receive a face-lift while still remaining true to the original sound that forms the genesis of this project. The concept is simple: giving classic records an updated feel for new audiences to enjoy and appreciate them. K-Def is not flipping the same samples or replaying the notes and chords in a mimicking fashion as the originals, but recreating and re-interpolating them with live, unsampled sounds, which he has been honing for years now. K is producing other producer’s records and, in turn, putting his special touch on it. He is taking the art of digging and music appreciation and applying it to the world of software by using technology for our audio delight. The intricacy of each record oozes with care and an attention to detail that becomes immediately apparent with the initial bars of the first song.